This is our intro to crafting in Wildstar. I would really love to hear feedback on this post and any corrections or suggestions! 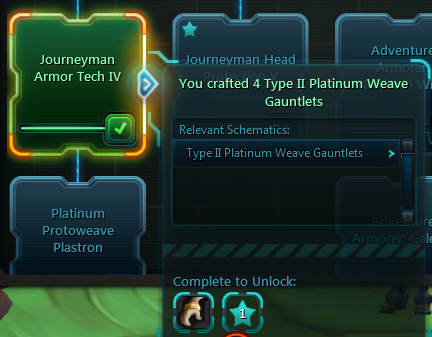 Every MMO has it’s own version of crafting, in Wildstar it is called Tradeskills and they are quite unique! I found the progression of leveling my crafting skills less obvious than other MMOs and I think I can share a few secrets I found along the way. I hope you will find this guide will give you the confidence to wisely use your precious mats for the most benefit. We have found that you can learn 2 gathering skills instead of one crafting and one gathering. So far the draw back is that you will have to obtain and hold 2 gathering tools for faster collection. Hopefully this information can help you decide which Tradeskills you will pick when you get to level 10, I think they all have the potential for profit and to be useful but that has yet to be proven. I recommend looking at Chief Sarcan's post for a more detailed explanation of each Tradeskill. Schematics – where you can see all of the patterns, including locked patterns, with the name, components and how to unlock if applicable. Tech Tree – this shows you the path to learn the patterns for each skill as well as displays your XP towards each level, there is drop-down box at the top center. 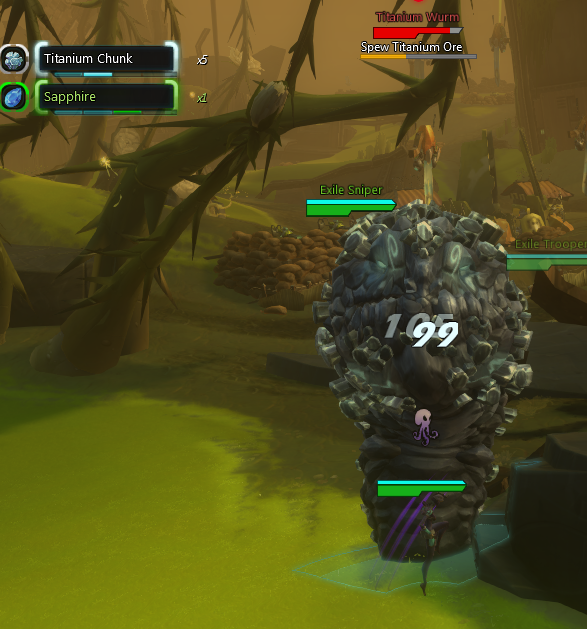 Talents – another tree that shows the Talents (bonuses) for each Tradeskill that you can earn. Hobbies have only one level, you can always farm any item that is ready to be picked and salvage any item in your inventory! Tradeskills have level 1-5, gather nodes in lower level zones for level 1 to earn XP to increase level, higher level zones will have higher level nodes. Salvaging also has only one level. To salvage you can either click on the 2 arrow/recycle button in the bottom of your bag to review the salvageable items in your bag or drag the item to the button. Note- there is a slight delay as the salvage button lights up and then you click it, I assume this is to help you to avoid salvaging the wrong item. Salvaging destroys the item and returns items used for Tradeskills (that might have gone into the crafting of the item) and grey items of very little value. I found the power cores to be particularly useful, however sometimes the items that you recover from salvaging might NOT be as valuable as vendoring or selling the item on auction house. Keep this in mind! Cooking (Hobby) has only one level but earn Stars in the Tech Tree to earn Talent points. It seems impossible to make the higher level items unless you have talent points. Tradeskills have 5 levels (Novice, Apprentice, Journeyman, Artisan, Expert), craft items and complete branches in the Tech Tree to increase level. The Star is 1 Talent point which is spent in the Talent tab to earn bonuses for the Tradeskill – in Beta they seem to be automatically spent, although the interface infers that they might be selected. These will be useful so you should try to earn them! Crafting Vouchers: Complete dailies to earn crafting Vouchers – these can be spent on crafting bags of random crafting components (although I do not recommend it) but at Expert level you will need spend Vouchers to buy rare patterns, crafting those rare patterns can unlock even better patterns (also requiring the voucher-bought pattern), so I suggest you save them up! Expert Research: I have not gotten mats for this yet so I do not know much about it, but I assume it has to do with raiding. Pre-max level crafted items are nice but probably not essential, so I would not break your bank or your mount fund in order to level your Tradeskills! Questing with found, quest and challenge reward gear seemed sufficient, so crafted gear was not required. Collect the items you can use for your Tradeskills as you quest by salvaging unwanted soulbound items and collecting nodes. Luckily in Wildstar you have a massive Tradeskills bag so you will not have to worry too much about bags space! When you are ready to start crafting, begin by getting the zone crafting dailies and work your way through the Tech Tree to learn those patterns – this way you will level your Tradeskill while getting crafting Vouchers, a Talent point (one point for completing 3 dailies in each zone) and zone rep. You can use the cheapest mats and items with the least upgrades for quest turn in. Craft items that are upgrades for your current gear. After completing the above, craft items to complete branches in the Tech Tree that will yield a Talent point. Once you get to Expert you will be able to use crafting Vouchers to make upgraded gear. Be ready for some fun surprises! I would love to hear or see what you find! I might come back here when/If I get a beta key and reread!! :) Good Job! Great start on a guide. I liked it! 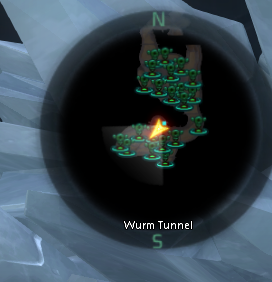 You put a star by Runemaking, could you explain what that means? Are the Vouchers working now? In earlier builds they weren't. Nice job. I'd love to know what tradeskills you've chosen and why you chose those particular ones. Thanks for your comments Honors Code! the star by Runemaking was supposed to be followed by: *Runemaking was disabled for a few of the Beta weekends and although it is enabled now, I have not seen many posts about it and I have limited experience with it. However since it was enabled everything I mentioned in this post has been accurate. I wonder if it is really necessary to mention it? Anyway I will correct that one way or the other. thanks! As far as what and why I picked the tradeskills, I leveled Mining and Armorer to max and it was fun and interesting! I picked those because I was playing a Warrior who wore Heavy Armor and Mining was the obvious gathering skill to go with it. Because they are so original to me, I also worked on Survivalist which is more farming, skinning and collecting meat and Architect. Architect works totally different than Armorer and it was fun to make stuff for my house and it sold okay on auction. I expect that people (especially those who enjoy crafting) will want to try them all out. However I emphasis I really don't think we will know what will be the "best" Tradeskills as far as being useful or profitable until launch and it will depend on the actual drop rate of items and the respawn of the nodes, which seemed very fast in Beta. As far as Vouchers, they do work and I used them to make 2 items! Besides being used to buy those Crafting Goody Bags, they are used to buy an item for 8000 vouchers called "Schematic" which was not learned but used as a component to make the item (it disappeared after the item was crafted). I wish I had a screenshot, but I think the schematics started with the name "Epochs" (or similar) followed by some letters and numbers like HC-1 (there maybe a pattern to the code but it wasn't obvious nor which slot it went to). I could not find this item by scrolling through the Schematics tab but I could find it by searching for the name or by clicking on it in the Tech Tree. From the Tech Tree you can see that after you make one of each of the "Epochs" patterns you unlock the next level which are even better items. Does this explanation make any sense at all? I would like to explain it in the guide but I wasn't sure that it would be clear.